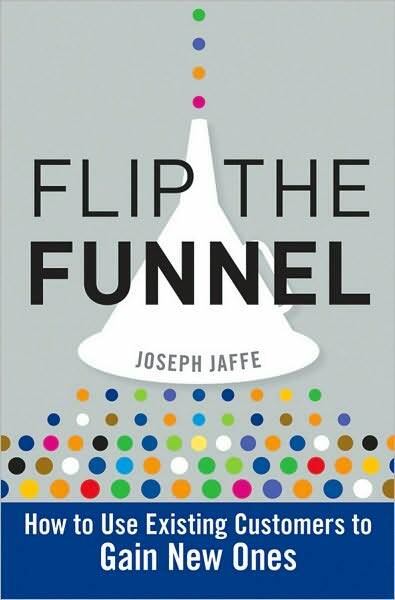 Joseph Jaffe has written a nifty book on customer retention and marketing. It’s called Flip the Funnel but he doesn’t mean that in the way Seth Godin means it. In a nutshell, Jaffe is saying companies can grow revenue “whilst” (he’s from South Africa) decreasing their marketing budgets if they concentrate more on customer service and less on marketing. According to Jaffe, customer retention should replace customer acquisition. As evidence that this is a worthwhile course of action, Jaffe offers some pretty eye-catching stats. For instance, for buyers of Diet Coke, seven percent of the market makes 80 percent of the purchases. How much does Coke pour into advertising campaigns designed to acquire new customers instead of encouraging loyalty and referrals from the customers they have? This got me thinking of two things that companies could do better. What if ad agencies started recommending smaller ad budgets and larger budgets for customer service and customer loyalty programs? That’s radical. It’s the Madison Avenue equivalent of the Macy’s Santa Claus sending shoppers to Gimbels. Name the last time you got prompt and helpful service from a customer support hotline. I’m betting your answer is somewhere between “the Eisenhower Administration” and “never.” What if companies really poured resources into customer service? What if I made a personal connection with the tech support guy, got his cell number and email address, and had some level of confidence that he was personally working on my problem rather than reading me a script? Jaffe emphasizes the role and usefulness of social media in this process, laying out three steps – content, conversation and commendations. But the crux of his message is something we at REACH have been saying for a while: we’re not finished with a project when we deliver. We’re not finished when we get paid. We’re finished when we get positive feedback and/or a referral from that client. If we haven’t gotten that, we probably haven’t finished the job. And we definitely aren’t flipping the funnel. The boys over at Marketing Over Coffee say this is a new trend among B2B marketing departments – the desire for a more integrated approach to all marketing. Yes, it will take longer to get to market. Yes, it will mean starting earlier. But isn’t it worth it? Here’s one small example: You know that link at the top of your email marketing messages that says something like, “Email not displaying properly? View it here.”? 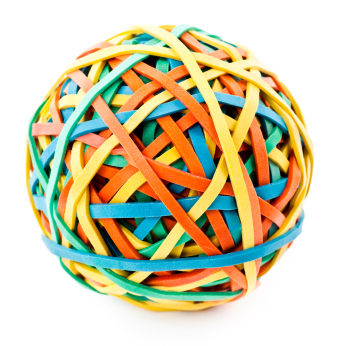 If that link points back to your email provider’s site, you’re wasting it. Why not add a page to your web site with the same creative and point people back to yourself? I’ve said it for a long time – most people who sell things related to marketing fall into two camps: the people who sell media (newsprint, air time, clicks, etc.) and the people who sell ideas (copy, design, photography, etc.) It is the rare to find a marketing partner who can generate good creative and then be strategic about how to use it.